Interessante ricevitore HF all -mode . Completo di AM sincrona e tastierino per l'immissione diretta delle frequenze. Elettricamente perfetto, qualche graffio sul coperchio. The Lowe HF-225 follows on the success of the HF-125, and has been designed specifically to fulfill the requirements of the dedicated shortwave listener or DX enthusiast. Its ability to perform on a crowded band with strong adjacent stations is one of its major strengths. The HF-225 is easy to use with controls being simple and sensible. Continuous coverage from 30 kHz to 30 MHz is provided in AM, USB, LSB and CW modes. The optional D-225 adds FM narrow mode and synchronous AM. Unlike other receivers the HF-225 comes complete with a comprehensive range of bandwidths: 2.2 kHz for SSB (and AM ECSS), 4, 7 and 10 kHz for AM reception. A 200 Hz audio filter is included for the CW listener. Tuning is accomplished through the use of 1 MHz UP/DOWN buttons and a multi-speed main tuning knob with recessed finger hole. Direct frequency entry is available with the optional KPAD-1 keypad controller. Thirty memories store your favorite stations. Antenna jacks are provided for either a PL-259 (50 ohm) or single wire (600 ohm). Jacks are provided for headphones, record out, speaker, 12 VDC power and optional keypad. The Lowe HF-225 provides elegant simplicity without sacrificing performance. Made in England. •	The IF filter bank has been changed to include higher specification filters. •	Resulting filter values include: 2.2 kHz, 3.5 kHz, 4.5 kHz and 7.0 kHz. •	Filter chokes have been replaced by quality magnetically shielded chokes. •	Filter selection diodes are now replaced by low capac. switching diodes. •	Filter select decoupling capacitors are bypassed by new "chip" capacitors. •	The D-225 FM & Synchronous AM detector are factory installed. •	The K-225 wired keypad is provided. 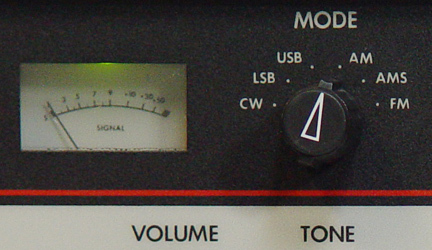 Modes.................. AM, LSB, USB, CW. Sensitivity............ 0.5 µV SSB 2-30 MHz.